What are the benefits of the CF7 Skins Add-ons? / FAQ / FAQs / What are the benefits of the CF7 Skins Add-ons? 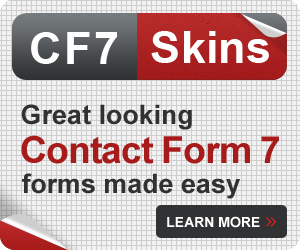 CF7 Skins Add-ons instantly give you access to powerful, easy-to-use tools for creating and customizing advanced Contact Form 7 forms. Building custom forms can often take a lot of time and advanced WordPress programming experience. 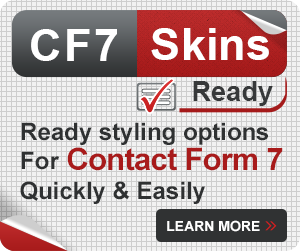 Whether you are a WordPress beginner or expert, CF7 Skins Add-ons make custom form creation quicker and easier for everyone. Pro – Access a wider range of common form Templates and choose from dozens more visually aesthetic Styles. Ready – Add extra structure and style to your form through the use of ready classes. Display fields side-by-side or in columns, surround sections of your form with boxes, and more. Multi – Create multi-page forms. For long, multi-part forms, complete with pagination, progress bars, a start and an end, and more. 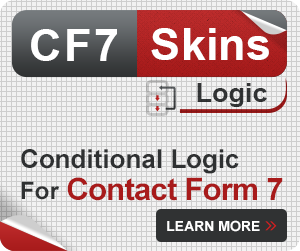 Logic – Add conditional logic on any fields of your choice. For example, hiding or displaying entire sections of a form based on a field response. Premium email support with a dedicated support specialist to help with your particular issues. Plugin updates and ongoing support for a full year are included in the price. Activate, deactivate, and move your license from one site to another at any time. Automatic discount when you renew your license. Upgrade or include any add-ons at any time. You can choose to purchase 1 add-on or multiple add-ons at any time. Be sure to take advantage of our bundle pricing. Licenses are valid for a full year from your purchase date. If you’re unhappy with your purchase, we will fully refund you within 30 days of your purchase. 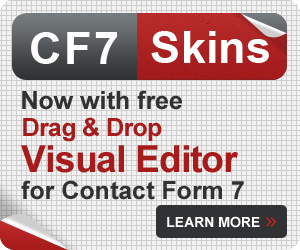 You can continue using the free version of CF7 Skins for as long as you like and are ready to upgrade. 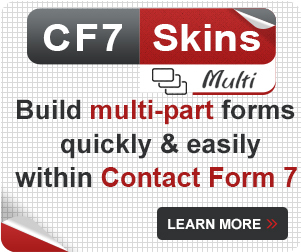 For more information, go to CF7 Skins Add-ons.